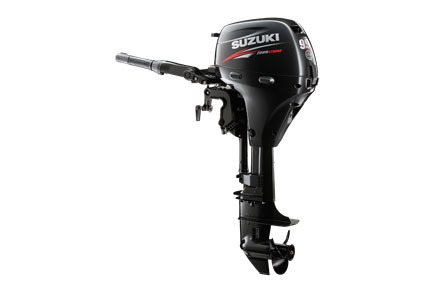 Suzuki's High-Thrust 9.9 horsepower four-stroke was specially designed for slammin' salmon and whackin' walleye. New power tilt system makes raising and lowering Suzuki's DF9.9TH High Thrust a breeze. With plenty of torque, a high-thrust propeller and a 2.08:1 gear ratio deliver efficient and reliable low-speed trolling for a range of heavy fishing boats. Built of the big job, with forged aluminum connecting rods, a one-piece forged crankshaft and a low oil pressure warning system. A new larger hub design even reduces cavitation in reverse. The DF9.9TH High Thrust outboard is one "thrust-worthy" fishing comparison.